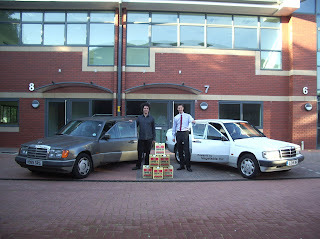 Follow our antics as we run our Mercedes 190d (and now 300td) on straight and waste vegetable oil across Europe to demonstrate the use of vegetable oil as a carbon neutral fuel for cars. Of course new oil is far from carbon neutral but in their daily lives they are run off filtered waste oil, we don't even use pumps its gravity fed only. Unfortunately the laws across europe mean using waste oil is not always possible. See our other blog in the links section for details of the laws. I am pleased to inform that after a while off the road Steven's 190d, the white car in the very first road trip is now back in action. The whine from the diff had got worse and worse until it was decided to retire her until a replacement diff could be found. This happened just before christmas when I bought a car that was getting scrapped and used that diff. We have also had a bumper collection of used oil so stocks are currently high, I really must start planning another veg powered trip !!! Anyone got any ideas or suggestions ? Ideas so far have been Iceland although I would probably rather avoid the problems cold weather could cause, Morocco (up through spain), and Malta. We can't go through Italy because its not legal and we will of course have to check with any countries the trip will go through. When I bought the car for me in starting days of my new car I am very worried about my car care tip and its maintenance and detailing. Then one time my friends tell me about the stephenwho is the professional car detailer and my friends tell me that I can get my care car tip from him. 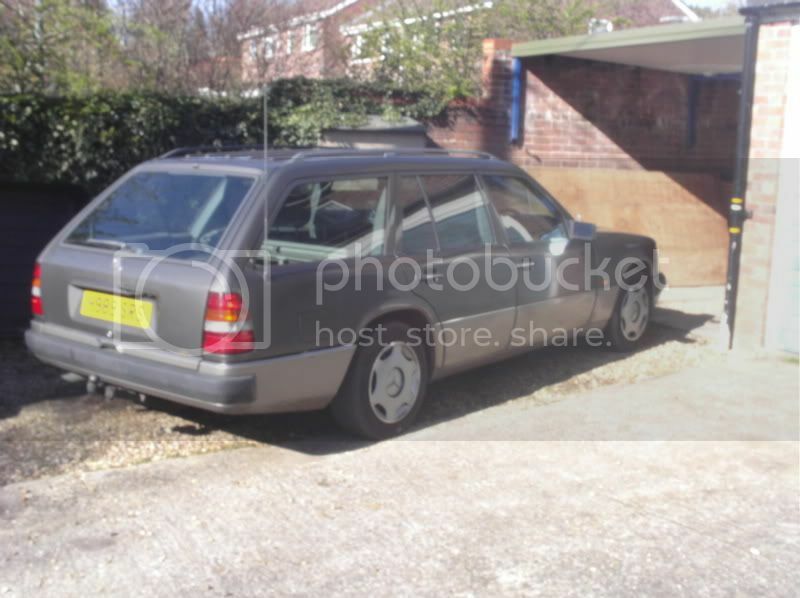 and a 1989 Mercedes 300TD Bought for £450.